How much does a top-notch 2-in-1 laptop cost? Our latest laptop reviews see two models go head to head: one costs a hefty £1,300, while its challenger is just £600. Compared with a regular laptop, 2-in-1 models offer more flexibility – figuratively and literally. With hinges that allow the screen to flip all the way round to lie flat against the back of the keyboard, these models can double up as large tablets, in a space-saving ‘tent’ mode among others. They’re ideal for getting work done on your desk, but work equally well as a ‘duvet day’ Netflix-binge machine. But like all laptops, 2-in1s are available at a wide range of prices, as two of our models on test this month prove. We’ve just tested three new laptops, with two good enough to be Best Buys. 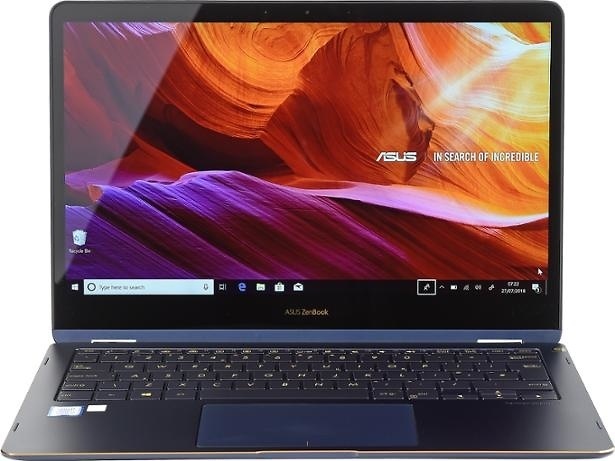 In addition to the models discussed below, we also tested the Asus ZenBook 3 Deluxe. Asus is known for grabbing headlines with laptops that it claims are the thinnest and lightest in any given category. The ZenBook Flip S takes things to a new level, weighing just 1.1kg. This isn’t just light for a 2-in-1 laptop, which are typically heavier than equally sized conventional laptops – this is one of the lightest laptops we’ve tested in months. From the spec sheet alone, there are no obvious shortcomings and, if you were thinking of buying a laptop that costs £1,300, you’d hardly expect any. Surely such a thin and light machine will be riddled with compromises? Not according to Asus, which is unsurprisingly bullish about its top-of-the-line laptop in its marketing material. Read our full Asus ZenBook Flip S UX370 review to find out whether it lives up to expectations. 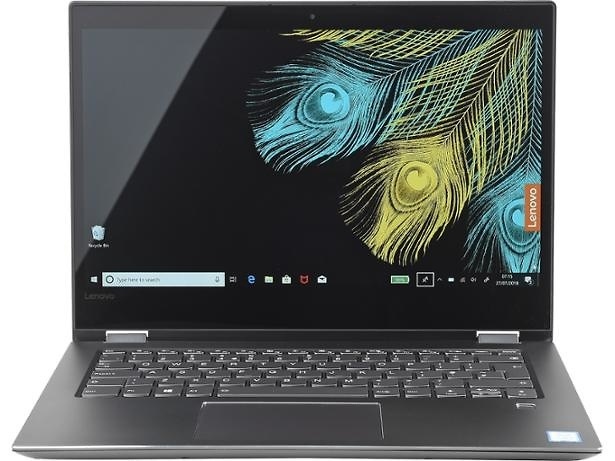 In the mid-range corner we have the Lenovo Yoga 520-14IKBR. 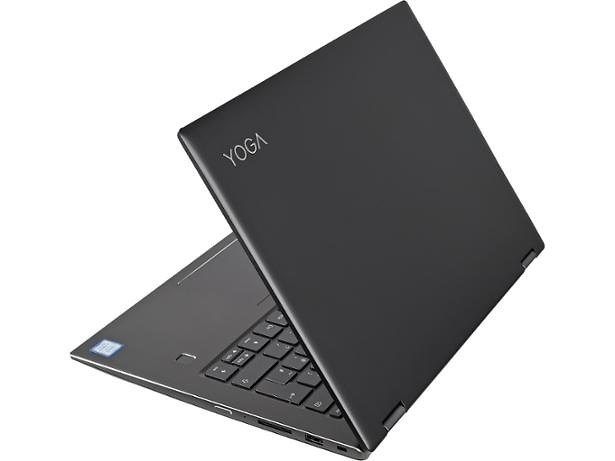 Lenovo Yoga is one of the best-known 2-in-1 laptop brands, having been on the market since 2012. The latest 520-14IKBR model is a 14-inch laptop that doesn’t look particularly exciting at first glance but, at £600, is in prime position to be a great-value recommendation. Read our full Lenovo 520-14IKBR review to see how it performed in our test lab. Premium vs mid-range laptops: what’s the difference? So, what makes premium laptops so different, and are they worth the extra expense? The 13.3-inch screen on the premium ZenBook Flip S is smaller than the mid-range Yoga 520’s 14-inch display. Not only that, the Asus weighs 600g less than the Yoga, and is 9mm thinner. Simply put, Asus has packed all the essentials of a laptop into a much smaller and lighter package. This is made possible through the use of lighter materials – a lightweight metal ‘unibody’ (a single piece of machined metal) instead of a plastic shell with a heavy metal chassis inside. There are technical differences, too. Both laptops use Intel’s latest, 8th-generation Core processors, but the ZenBook Flip S opts for a Core i7, whereas the Lenovo has an i5. The difference between these two chips isn’t as stark as you might think, since both have four cores for fast multi-tasking. But the extra grunt of an i7 will be much more obvious when performing more intense tasks, such as editing photos and videos. The Yoga is no slouch, but the difference will be noticeable in those tasks. Both computers have the same amount of Ram, 8GB, which is the minimum we’d recommend for laptops costing this much. 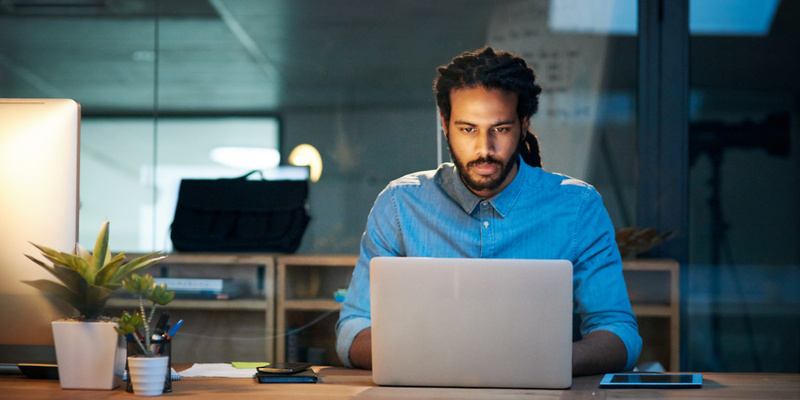 Read our guide on Intel processor brands to find out more. Asus has also used a premium solid-state drive (SSD) for storage, with 512GB of space. Lenovo has also opted for an SSD, but it’s a slower type that also has a lower capacity of 128GB. While both screens are the same Full HD resolution, you’d rightly expect the Asus ZenBook Flip S to display brighter, punchier colours than the screen on the Lenovo. Read our full reviews to find out whether this is the case. There are parts of the ZenBook that might actually be less desirable, too. The thin design means Asus has ditched all the ports you’d normally find on a laptop, leaving it with just two USB-C ports and an audio jack. These smaller ports aren’t compatible with regular USB kit, such as a mouse, without an adapter. Asus supplies one in the box, as well as a USB-C to HDMI converter, but that’s your lot. If you want to plug more equipment into your laptop, you’d need to buy a USB dock at extra expense. Meanwhile, the Lenovo has all the ports you’d want, including full-size USBs, HDMI and an SD card reader. As with many products, paying more for a laptop often only grants you diminishing returns. This is great if you’ve got a big budget, as you get a premium experience for your hard-earned dosh, but equally means that those with less to spend needn’t worry about losing out on features and performance. Still, it’s always worth looking at reviews of several products in any given price range, since not all mid-range laptops are created equal. Head over to our full range of laptop reviews to find the perfect model for you. Alternatively, take a look at our guide on the best Windows 10 laptops.